Mario Häring has performed in concerts around the world at renowned halls such as the Konzerthaus Berlin, the Laeiszhalle in Hamburg and the Suntory Hall in Tokyo. Concert engagements have led him to Japan, China, Namibia, Finland, Italy, Spain, Greece, Liechtenstein, Austria, Luxembourg, the USA, and Switzerland. 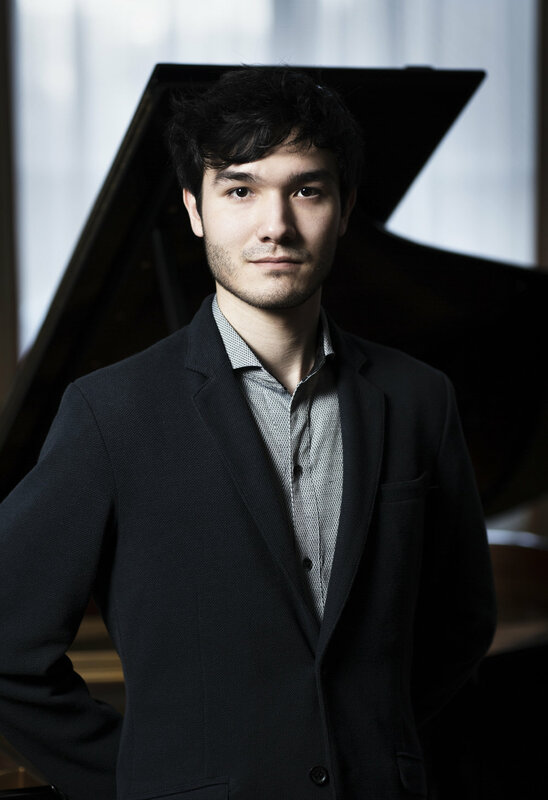 He was recently awarded 2nd prize at the prestigious International Leeds Piano Competition and won the Yaltah Menuhin Award for the best chamber music performance. After his orchestral debut with the Berlin Symphony Orchestra at the Berlin Philharmonic Hall in 2003, more concerts with orchestra followed, among others at the Philharmonic Hall in Constance, the Tokyo Metropolitan Theater, Tokyo Bunka Kaikan and the Berlin Philharmonic Hall. Apart from engagements with orchestras and as a soloist, Mario Häring is also devoted to chamber music. He shares this passion with the violinist Noé Inui, with whom he released the ICMA-nominated CD “Identity”. He has performed at numerous festivals, such as the Braunschweig Classix Festival, the Schwetzinger Festival, the International Steinway Festival, the Schleswig-Holstein Musikfestival, the Lucerne Festival “Ark Nova” in Matsushima, the Kissinger Sommer and the chamber music festival “Spannungen” in Heimbach. On his new PdSK nominated album “…les Préludes sont des Images” Mario Häring delivers atmospheric interpretations of works by Debussy. Mario Häring was born in November 1989 in Hanover, Germany and grew up in Berlin. Descending from a Japanese-German family of musicians, he gained first experiences with the piano and violin at the young age of three years and in 1994 took up his first piano lessons. Even before finishing high school, he became a student of Professor Fabio Bidini at the Julius-Stern-Institute of the University of the Arts Berlin and of Prof. Karl-Heinz Kämmerling at HMTM Hanover. It was also with Prof. Kämmerling and Prof. Lars Vogt that Mario Häring completed his Bachelor. He obtained his Master’s degree with the highest grade.